Almost 11 years ago I gave birth to my first child, a daughter who entered the world in a dramatic fashion three weeks early via an emergency c-section. That day is etched upon my soul, the nuances of the smells, sounds and experiences are ones I can recall as if I’m instantly there. After weeks of feeling her grow within my body, of mentally, emotionally and physically preparing for her arrival our first-born had arrived and the joy was overwhelming. Sydney’s arrival pulled my husband and I even closer, watching him sit in the bedside hospital chair cooing at her all night filled me with rushes of loving emotions I had never experienced. We were cocooned in the hospital for 5 days, these were days of bonding and quiet which I’m forever grateful for. Sydney was blessedly healthy and soon enough we headed home. Within a week I felt like the world was ending, I was overwhelmed and simply out of my depth. Between feeding her every 2 hours, lack of sleep and a complete disaster of a home I wept over my own inadequacy. Thankfully my husband and I survived this time but looking back those challenges seem somewhat small compared to the trials of parenting a strong willed child. Very early on we realized that Sydney had her own ideas and was rarely swayed by our efforts. This is a VERY good trait in adults but when you’re parenting and teaching it can be the most challenging situation, one where we can easily lose ourselves to frustration. If you’re a parent in with a strong willed child as I am, take heart that they are amazing little people and when we’re creative we CAN find ways to work around this. 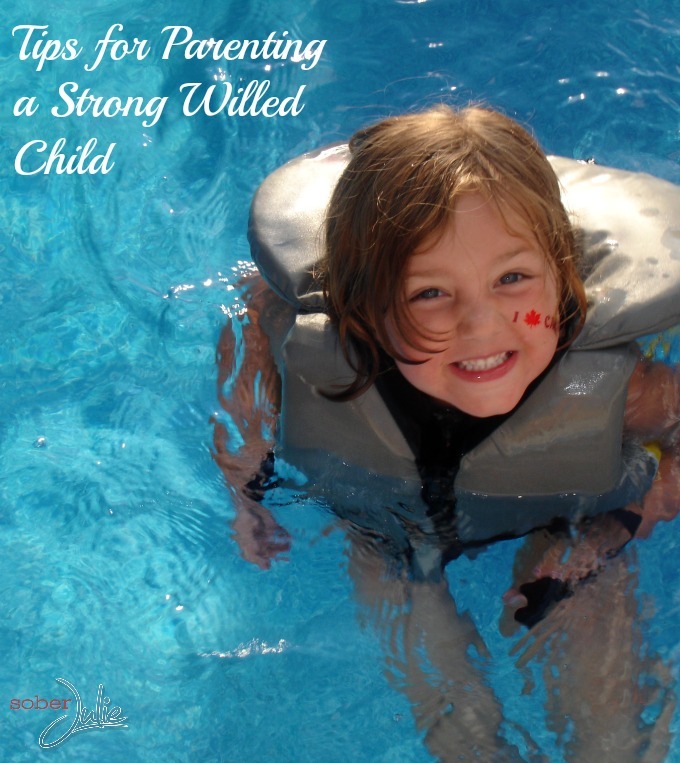 What is a Strong Willed Child? Strong willed children are often seen as “difficult”, “stubborn” or “disrespectful” but in actuality they’re children who have a strong point of view and aren’t swayed from their perceptions easily. These are children who want to experience and learn for themselves rather than taking the word of others. Because of their need to be in “charge” of themselves or to be “right”, they’re often found to be going head to head with their parents, testing limits over and over. These little people have large emotions and it’s difficult for them to switch gears and slow things down. These aren’t children who resist authority in general, they more fight over the way the authority is communicated or the actual event and how they perceive that they are “right”. When Sydney was two years old she was a fan of Little People. Her room had a lovely area just for her town of Little People which she enjoyed daily. One day we had a disagreement (yes a disagreement with a two year old) and I had put her into a time out in her room. Sydney was screaming her head off in her room, to the point where it sounded like an animal was in there. Within thirty seconds of me closing the door, she proceeded to fire her little people at her door over and over one at a time until the door had paint chipped off of o it and there were wee dents in the back side of the door. There was no consoling her, no settling until she’d spun the tantrum down after a few minutes. Following this she was teary, utterly apologetic but STILL felt she was right. Adjust the Parenting Attitude. The biggest thing I’ve learned through parenting Sydney is that I had to adjust my attitude. A strong willed child doesn’t try to make parents angry on purpose, they have a difficult demeanour at times but once I’d accepted that I found I was able to see clearly and begin to deal with it. Avoid Power Struggles with Rules and Routines. By setting household rules and routines, Sydney doesn’t see us as the bad guys. These are rules that apply to everyone so it’s easier to accept and be sure to remember they apply to YOU as well, this will set the bar high for the spirited child. Give Them Control. Your spirited child has a thirst for mastering things so when you can, allow them to have control over the things they desire. While it may not be touching the stove to see if it’s really hot, find another area where they can exert this need. There was a time when we allowed Sydney to wear her clothes for 31 days, believe me when I say this wasn’t easy but it did teach her the harsh reality of the need to launder and change our clothes. This gave her a sense of value and taught a lesson. Choices, Choices. When we order a strong willed child to do something they may see this as us nagging. Instead, offer them some choices and they’ll feel more in control. You’ve already set routines so give them a choice in the order of the tasks they must complete and don’t forget to offer a carrot at the end. For example I’ll say to Syd would you like to make your bed or put laundry away before we watch a movie. Don’t Force a Battle. If we approach these kids with a hard-fast stance, we are more likely to be met with a stone wall. Make a list of things that you’re willing to go to battle for; for us these include safety, school attendance and language. If the issue isn’t on that list, be able to be swayed if the situation calls for it. Your child knows you have ultimate authority so when you can, allow them to have input in and show them you’re considering their opinions. Discuss the outcomes with them and you’ll empower them for future. Give Them an Out. When we allow our kids an opinion and begin to discuss with them, we can often sway their outlook and give them an out where they don’t have to battle with us. Take some time to share with them once they’ve calmed down a bit and hopefully they’ll see the way out. Listen to Them. Your child values being heard, take time to hear what she is saying and repeat her words to her. This allows them to feel valued and hopefully will diffuse a situation. When Sydney was 5 she had an utter melt down about putting on socks to go to school. At first I engaged, commanding her to put them on! Something in me stopped as she rallied against me and I realized the socks were itchy to her. Within minutes the situation was resolved with a new pair of socks but if I hadn’t paused and listened, it could have been a disaster. Discipline Later. When these kids are in a confrontation, they’re overwhelmed by adrenaline and emotions. This isn’t the time to teach them anything! Allow them to calm down and later communicate the learning point and implement discipline. Respect, Empathy & Communication. By showing these kids respect, we’re taking away their natural need to command it. Show them positive communication by telling them you empathize with their feelings, that these feelings are valid but the behaviours aren’t. By opening the lines of communication you’ll gain insight into the way they think and opportunities to build trust and increase chances for teaching them. Strong willed children can be a challenge which we as parents must equip ourselves to deal with in a loving, nurturing manner. Don’t get overwhelmed by the situation and your own emotions…oh man that’s so easy to do. Slow things down and prepare yourself in advance with the best ways to deal with how your little one thinks. We are raising children with strong opinions, emotions and a steadfast position and this is beautiful! 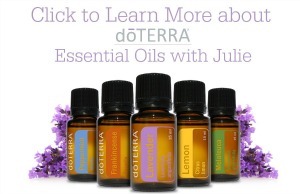 Great post Julie! After reading this I honestly think that our little guy is a strong willed individual. There are many things that you named off that he does and I also find that our attitude towards them makes a huge difference. I’ll definitely be keeping these tips in mind! I hope you can Jason, I know I’ve failed over the years but the more consistent we can be in patience the better!! Thank you for this! My daughter is very strong willed and at times hard to parent. I can relate to this and I know that she isn’t a ‘bad’ kid, just sticks to her opinions and choices. It can be tough at times but I know with me putting my foot down she will be better in the long run. Choices are definitely something we do in our house, helps her feel like she is in control. And totally agree with listening to them! Sometimes it really is a simple solution to end an almost meltdown :) Thanks!! My 6 year old is strong willed, it’s been a big challenge for me because I’m the exact opposite. Thanks for the suggestions! One thing that helps me is when I say NO to something if I change the subject quickly it doesn’t give her time to pick a big battle over it with me. That was the first thing I have read that actually felt not only useful, but also that it pertained to my little guy. Thank you so much…I’ve been so discouraged lately and I think I really needed that right now. Dad and I have witnessed, for years, you and Brad’s patience and admire you so much for it. You give so much Love and more to both our youngest Grand Daughters, we are sure that they will learn so much for their future years. God Bless! Julie, I wish you had written this 40 years ago :):) My parents really could have used this advice. I was a strong-willed child of the 60’s & 70’s and they had NO CLUE what to do with me. They “labeled” me as defiant, stubborn, angry, and mean, among a few. I grew up believing those things about myself for many years. My mother will still make comments every now and again about how “mean” I was. I know the truth now! I have read a lot of books and participated in counseling over the years, but your post says it the best. This is a KEEPER! This are really good points. My 2nd son is VERY strong willed. Thanks for the post. I love this. We have a strong willed 4 1/2 year old little girl. Oh I remember 4 1/2 well, they’re so cute but oh so challenging. You’re not alone! my friends daughter was like that. she was extremely determined. There are some very good points and tips in this post. My son is most definitely strong willed, I have learned to pick my battles and decide which mountains I am willing die on. My eight-year old boy seems to be a strong-willed child. But he’s not very apologetic when he has done something wrong and yes, he still feels he’s right. Will keep in mind these tips, and yes, I think we will have to adjust our parenting attitudes and styles to our son’s attitude too. Great read. I have strong willed girls and I never want to dismiss that trait in them.